One of the signs of a toddler developing appropriately is if they stack things. Stacking is a beneficial activity for toddlers for many reasons. Stacking blocks is one of the earliest forms of geometry. Yep, playing with blocks is geometry for toddlers! 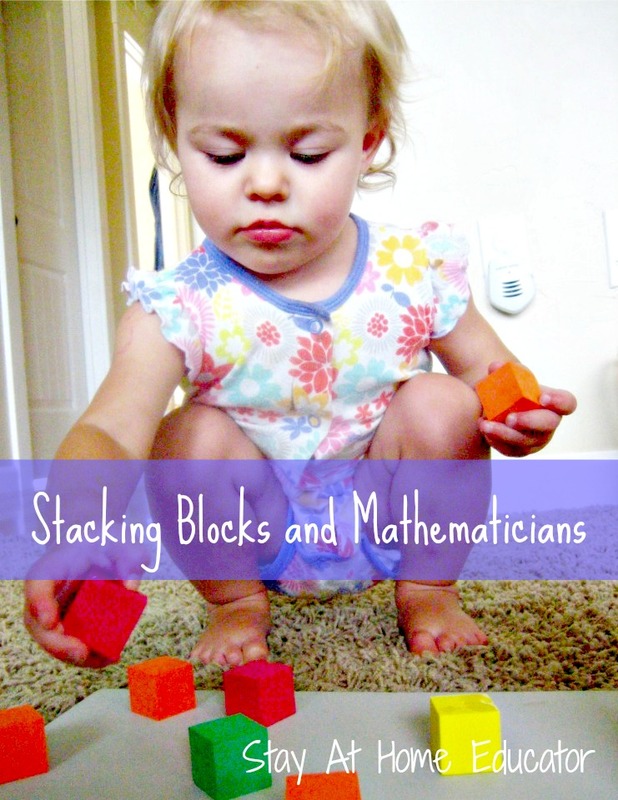 Stacking blocks is not only beneficial because it develops hand-eye coordination or social skills, but it is also beneficial because during block stacking toddlers begin to think like mathematicians. Specifically, they learn the most basic concepts in geometry. Follow along with this guide to blocks and toddlers and learn about block stacking benefits, how to use blocks, and fun block stacking activities for toddlers. Through block building children explore complex concepts in geometry such as balance and symmetry. Children compare like items and make important choices during block play. Think of the toddler who is tacking blocks, one at a time, but each block is off-set a bit and soon the tower is leaning slightly in one direction. Continuing on this same path will cause the tower to fall over, which usually results in frustration, however through that cause and effect practice toddlers learn to make adjustments in their building as they continue to experiment. They stop their play to problem solve. They learn that various shaped blocks have different attributes that make them uniquely useful in building, but not every block is suitable to the same job. My dad made our set of wooden blocks, which has traditional squares and rectangles, but it also has triangles and cylinders, and multiple sizes of each. Through play toddlers discover that you cannot lay a cylinder on its side and then stack on top of it, nor can they place a heavy, bulky cylinder atop a slender, smaller one. 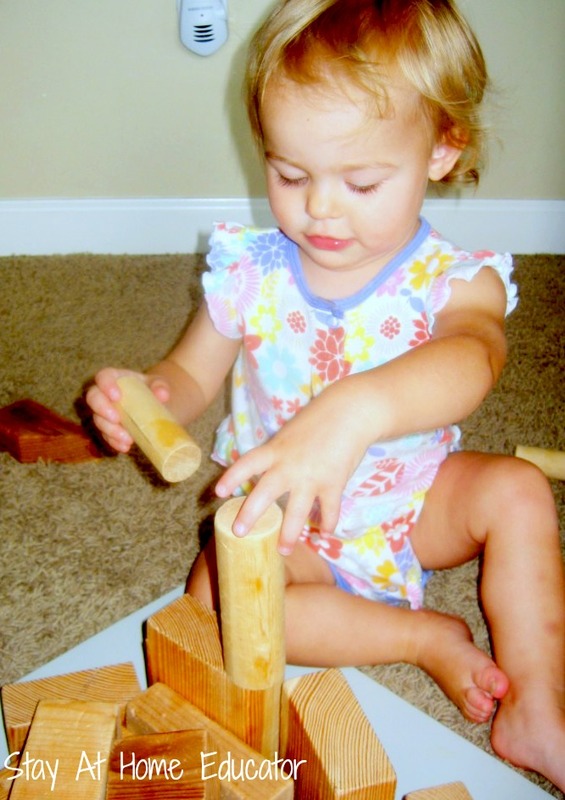 Older toddlers will learn that to build tall towers she must build from larger to smaller. Preschoolers are adept at creating a heavy base before building upwards to assure that the weight of the tower itself doesn’t cause it to buckle and fall. Why Should Toddlers Stack Blocks? 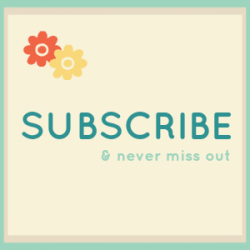 Research has shown that children who actively participate in complex block play have higher IQ scores. Other studies link block play to higher math scores and a greater ability to think spatially by improving their spacial reasoning skills. Further studies also conclude that building with block increases a child’s creativity and problem solving skills. Blocks have been a favorite child’s toy for over one hundred years, and it is clear why. 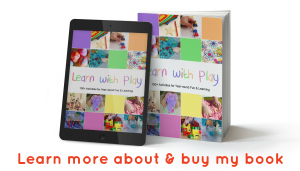 Children can learn so much through this play based learning, but equally as important children still enjoy the open-ended play that blocks offer. If your toddlers are just getting started with blocks, they may need a little help with creative play and exploration. Here are a few ideas for you to use with your preschoolers to maximize the learning they are getting during block play. 1. 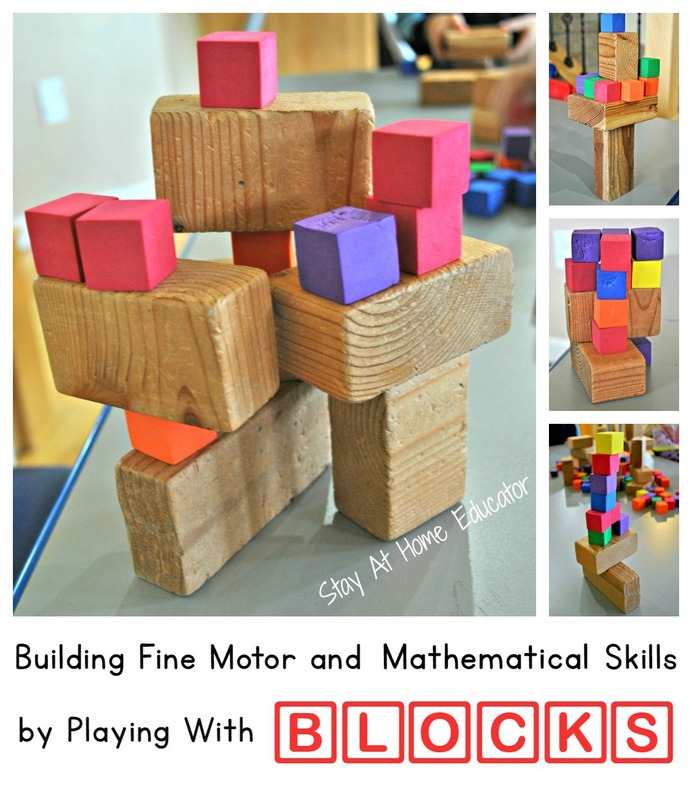 For the youngest preschoolers, even stacking two or three blocks can be a challenge. Show your toddlers how to stack blocks and play together. You’ll have lots of laughs as you build towers and watch them fall over. 2. If you have round blocks, try making a ramp with a hardcover book. Place a block under one side of the book and roll the blocks down the book. Experiment with rolling the blocks down a steep or gentle incline, and try rolling the blocks on a hard surface versus the carpet. 3. Use your blocks to make pattern shapes. You make a shape, then see if your toddler can copy it and make the same shape. Next, let the toddler make a pattern and you copy it. 4. 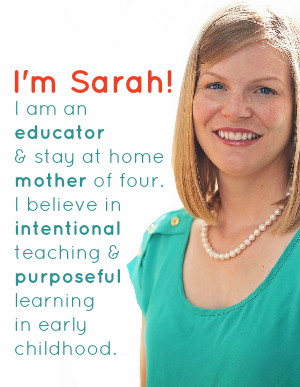 Give your child only one type of block at a time (for example, all round blocks or all triangle blocks). Let them build a tower. Once they build a tower, give them another kind of block to play with, until they have tried to make towers out of all of the blocks. The next day, give them all the blocks. See if your toddler remembers the best blocks for stacking. This is a great post. I was just thinking of posting something similar but I think you said it perfectly . I do think that block play is so vital in for kids I often rotate my sons’ toys but they thing never get rid of is some sort of block set. I found you on the True Aim hop. My kids love playing with blocks and stacking pretty much everything that they can! I think that the thrill of building something strikes a deep desire in all people to make things with our own hands. I did not know that it helps develop social skills. Thanks for sharing at Mom’s Library! That is great that your Dad made your blocks and used unique shapes. Please link this to Artsy Play Wednesday on Capri + 3.